Elizabeth Johnson’s grave. 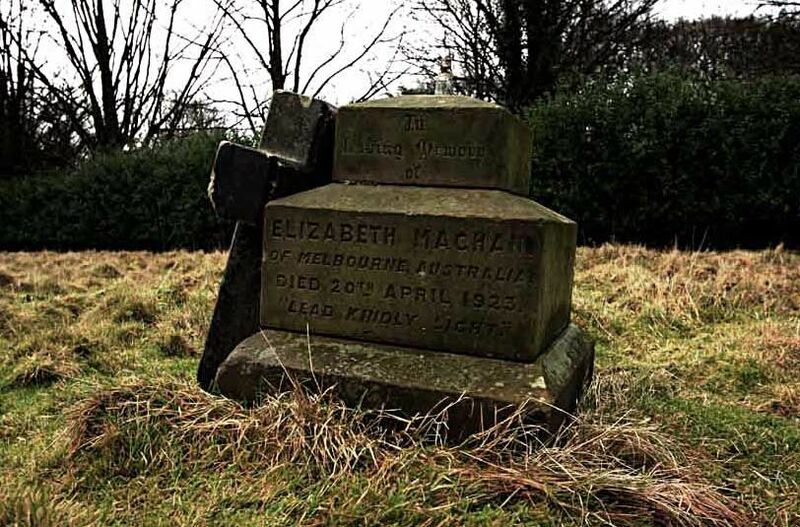 The first woman to enter the Asylum in October 1888, She died on February the 15th 1904 and was laid to rest in Row 5 Grave 13. 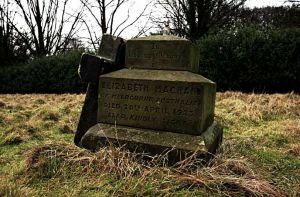 Elizabeth had been transferred along with 29 other inmates from the West Riding Pauper Lunatic Asylum, Wadsley, Sheffield, on the 8th of October 1888. 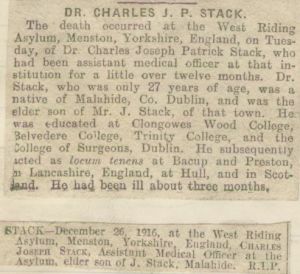 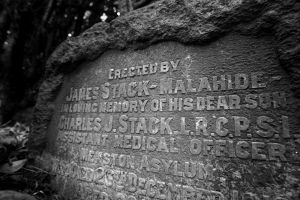 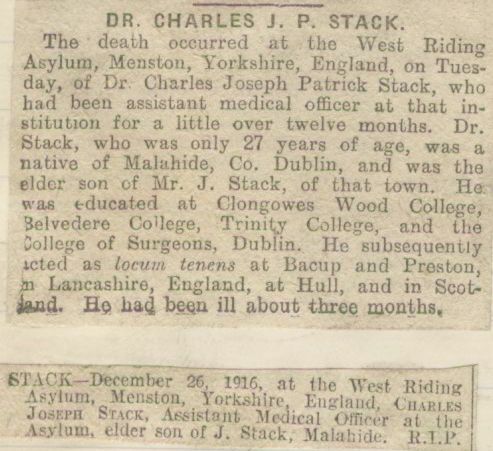 On the 3rd of December 1890 The West Riding Pauper Lunatic Asylum, Menston as it was known then commenced burying the “Asylum dead” between then and 1969 a total of 2,861 unclaimed patients were buried in unmarked pauper graves, sometimes three deep, at the Buckle Lane cemetery. 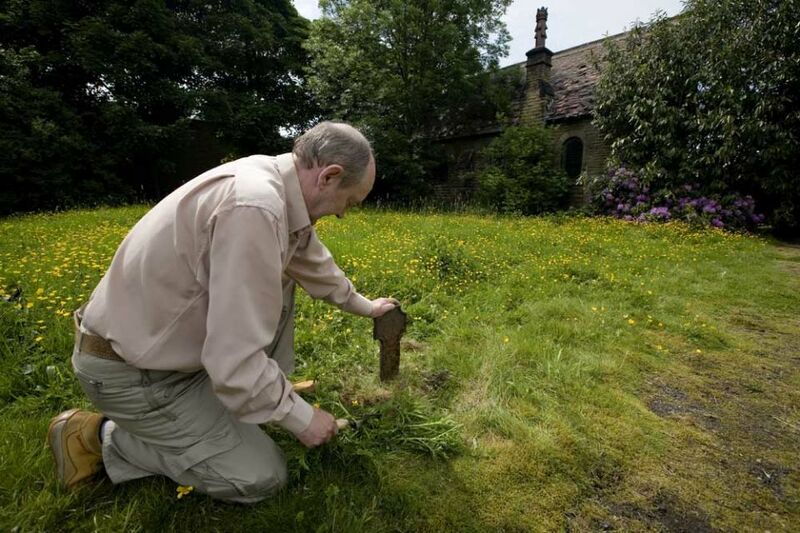 We have located the Burial Records; many thanks to Colin Mann for his generous assistance. Of the 2,861 people buried here, sadly three of them were little babies. 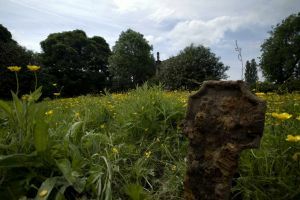 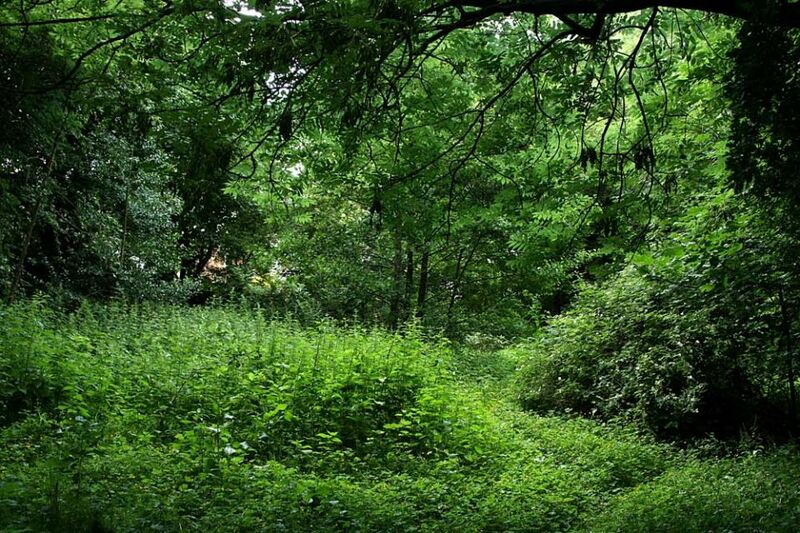 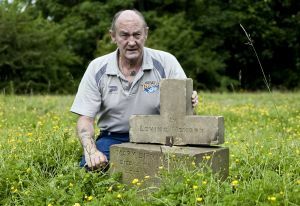 A campaign to restore a dilapidated burial ground at the former psychiatric hospital High Royds’ is gaining momentum. At the moment the only reminder of the thousands of patients who died there is a rough field and run down chapel behind the ambulance station in Menston. 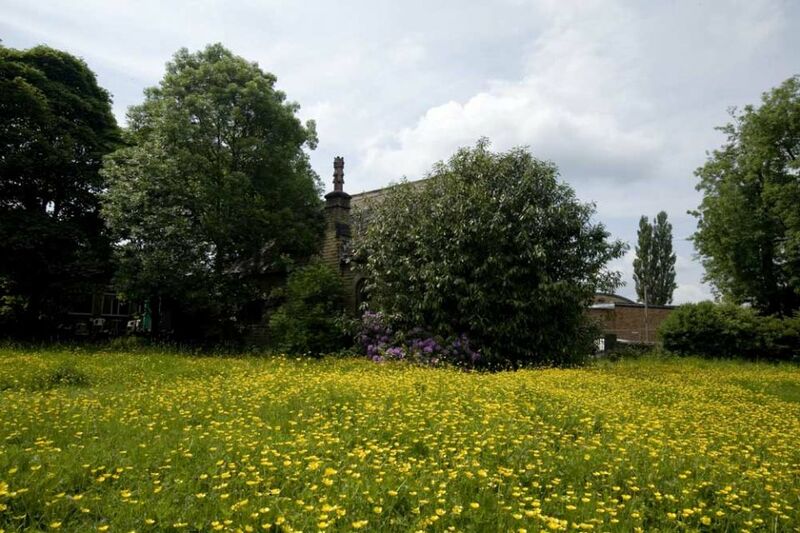 But now a group of concerned local people – one of whom is a former High Royds patient – are determined to transform the site into a fitting memorial garden. 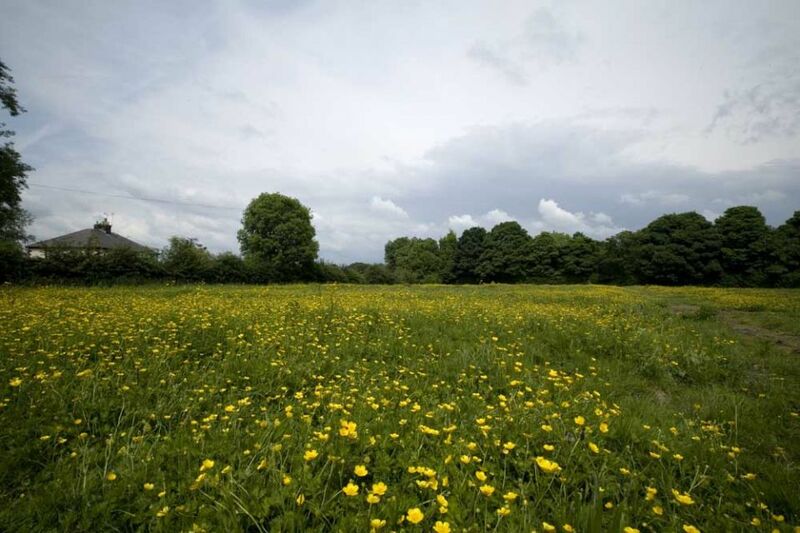 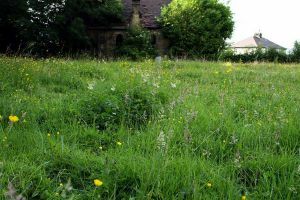 More than 30 people turned up to a public meeting held at High Royds Sports and Social Club last week to discuss the future of the burial ground. 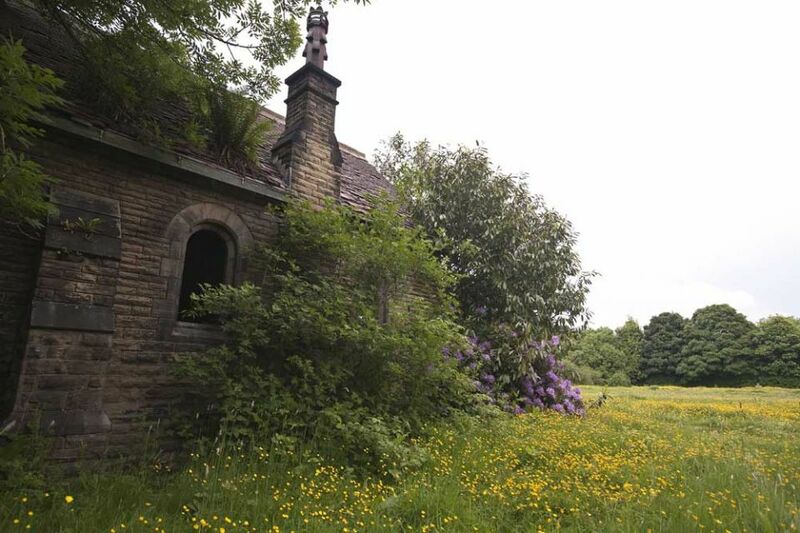 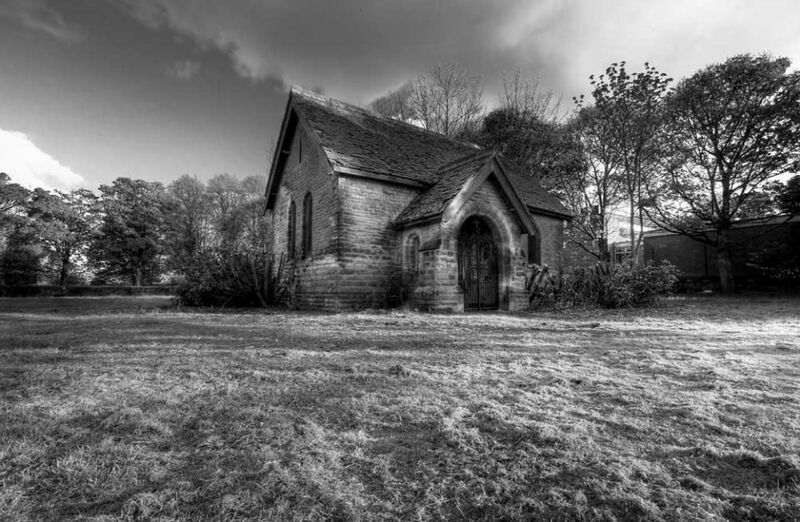 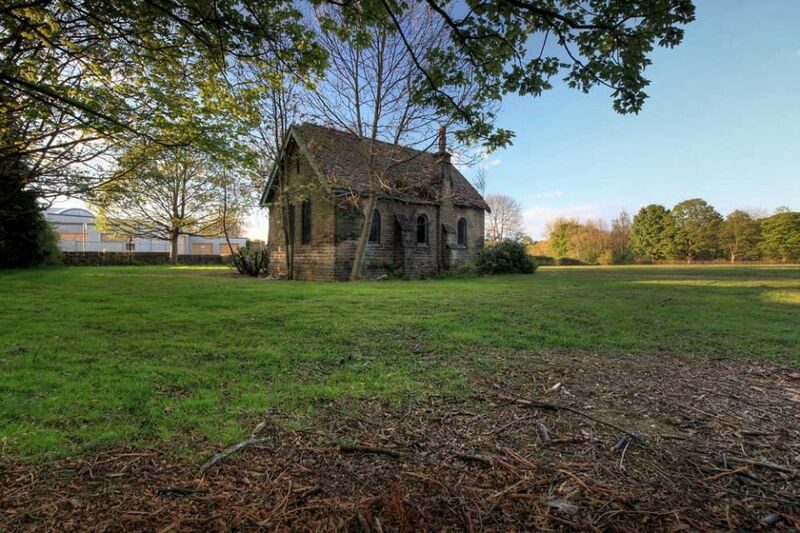 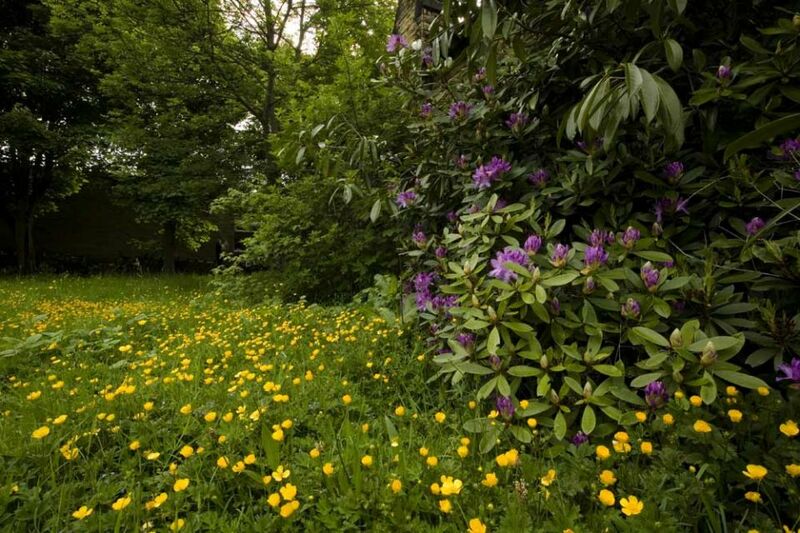 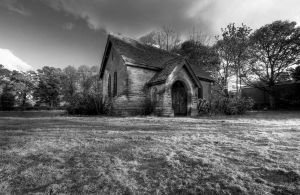 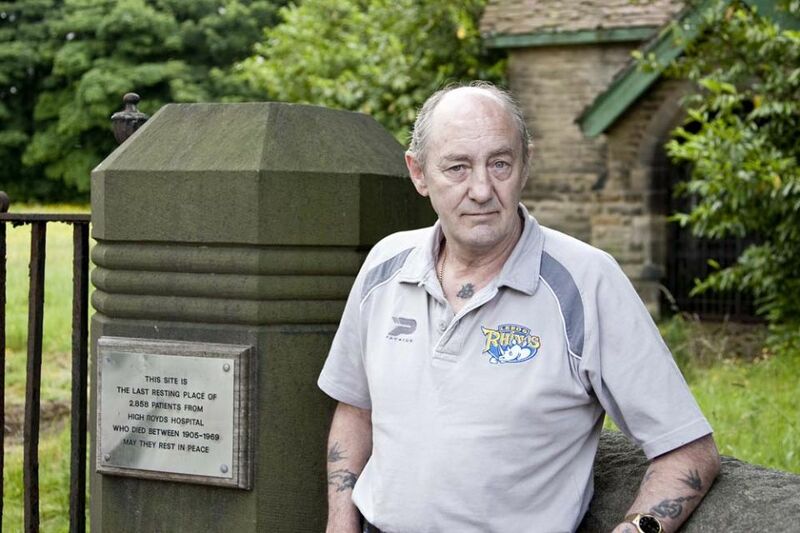 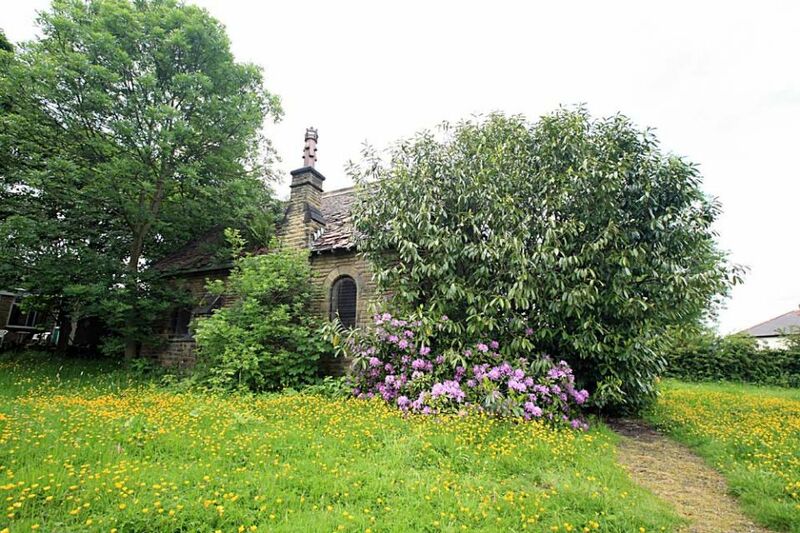 And now a steering organisation, The Friends of High Royds Memorial Garden’, are appealing to housing developers Gladedale to restore the former chapel at the grounds. 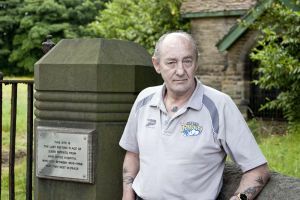 Campaigner Ron Sweeney said: “We were delighted at the support we got and everyone who attended agreed that this site really does need cleaning up. 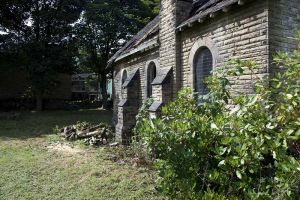 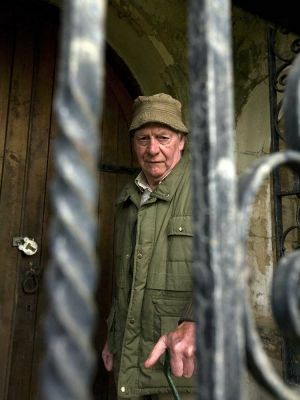 “It was agreed that we should ask Gladedale to restore the chapel, which is in a dilapidated state at the moment and we are in talks with the developers at the moment about this issue. 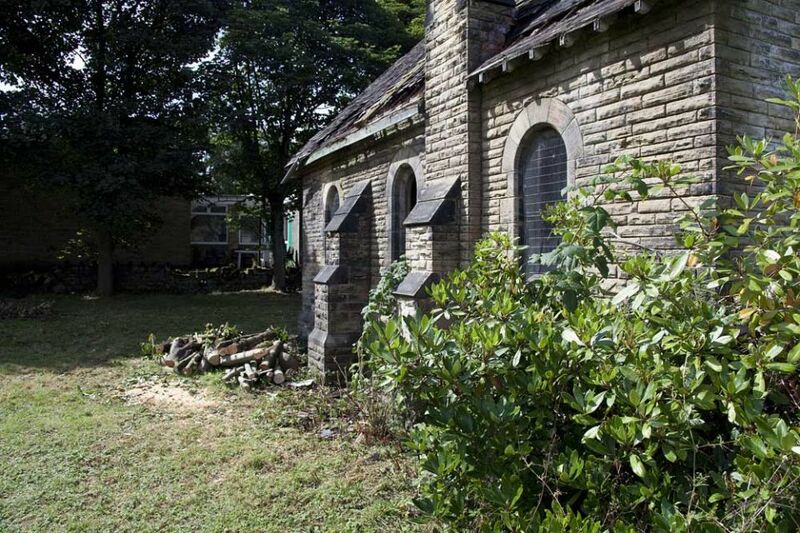 “A number of people came forward, including community organisations and offered their help with various tasks including fundraising and we now have an artists impression of what it could look like. 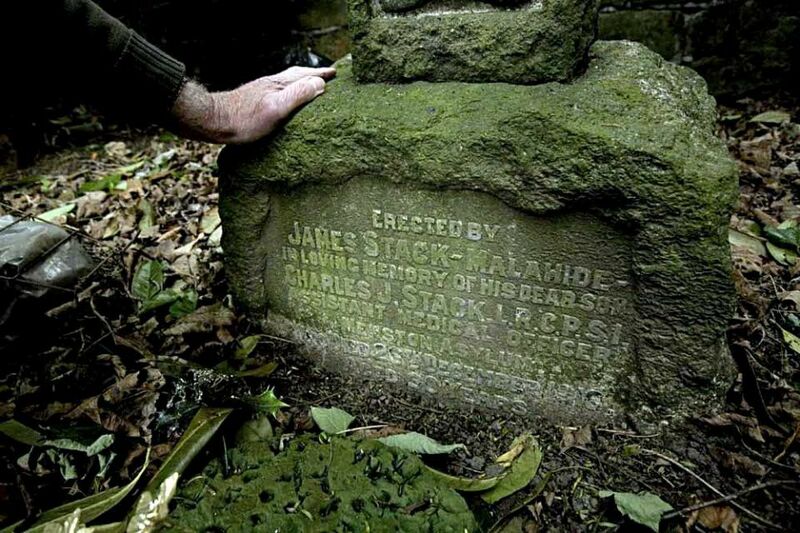 A total of 2,861 people are buried at the Buckle Lane site behind the ambulance station in the village. 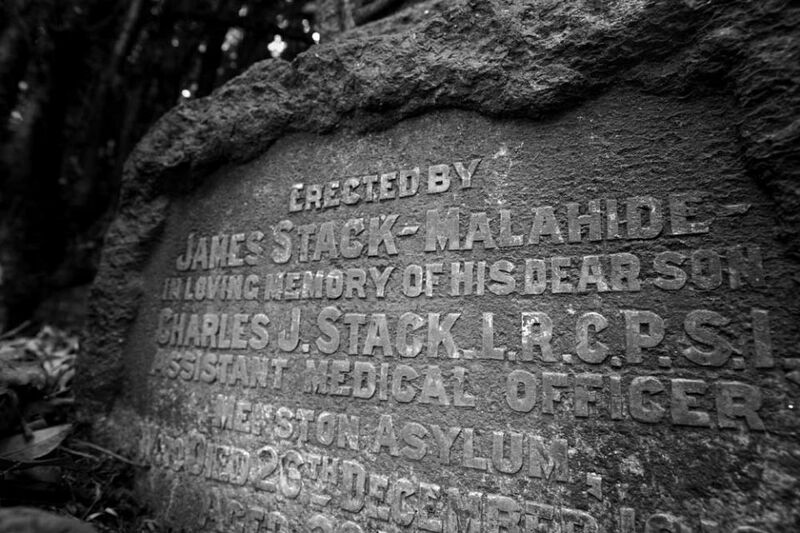 Each one of them was a patient at the hospital – first known as the West Riding Pauper Lunatic Asylum – which opened in 1888 to care for the mad poor’. Once inside, the odds were stacked against patients coming out again. In the years after High Royds first opened the discharge rate was just 30 per cent, and death rates were as high as 15 per cent. The bodies of those who died were taken to Buckle Lane cemetery, where they remain to this day, all but forgotten. 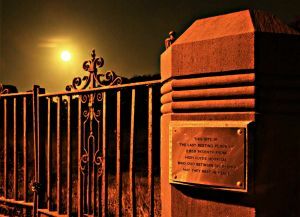 The only reminder is a small plaque next to the gates and a few broken, desolate memorial stones. 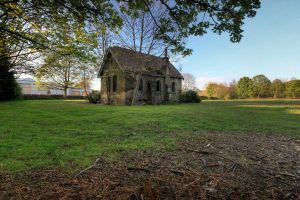 Among the Friends’ aims are plans to restore the chapel (at a cost of £15,000) and hopes to commission a sculpture to form a memorial to all those buried there. 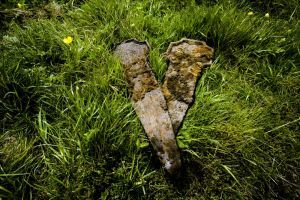 Seats will also be provided with the sculpture acting as a focal point. 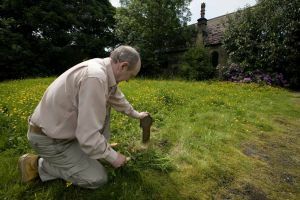 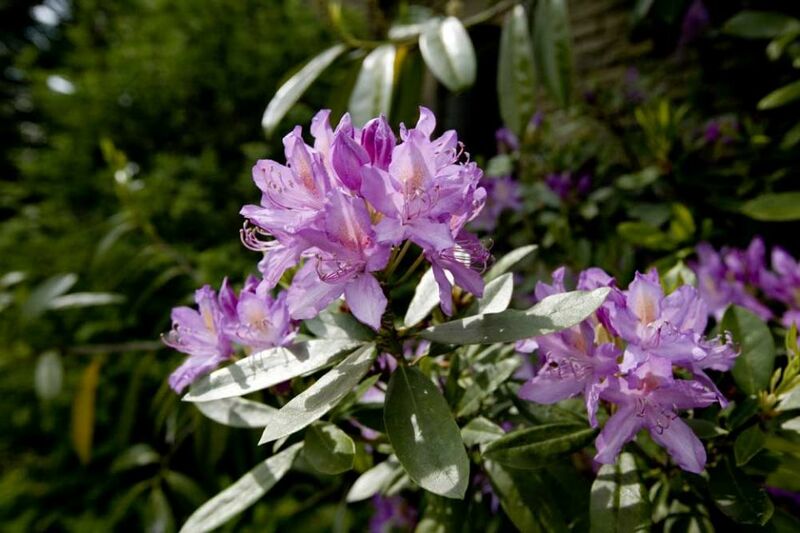 Mr Sweeney said: “When the memorial garden is finished it will be a sign that people do care and those who have gone before can rest in peace knowing they are not forgotten and have helped to create a place of beauty for those who pass by. 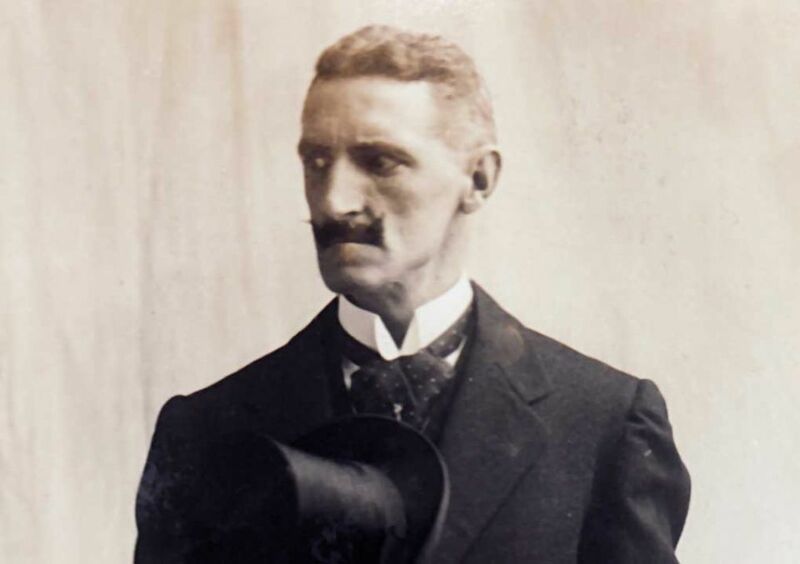 In the hospital committee meeting minutes 1891-1893. 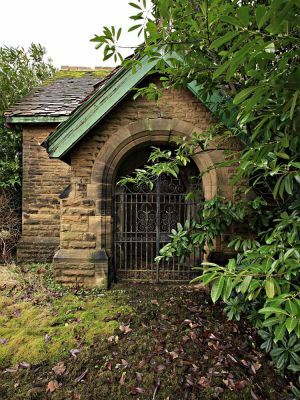 I found evidence of the ‘dedication of service’ at Highroyds cemetery on Buckle Lane, along with a detailed list recording all the ‘religious persuasions’ of patients. 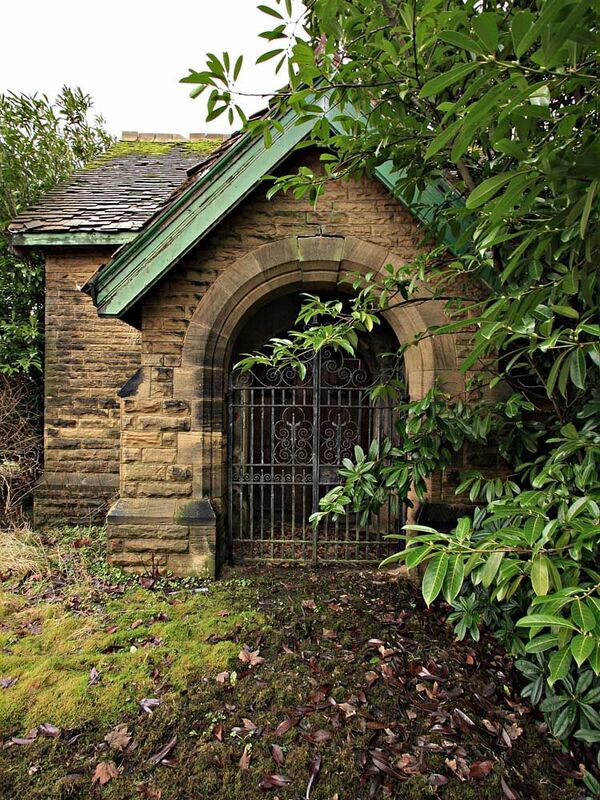 The dedication of the cemetery was carried out 1st June 1893 by Lord Bishop of the Diocese Dr Carpenter. 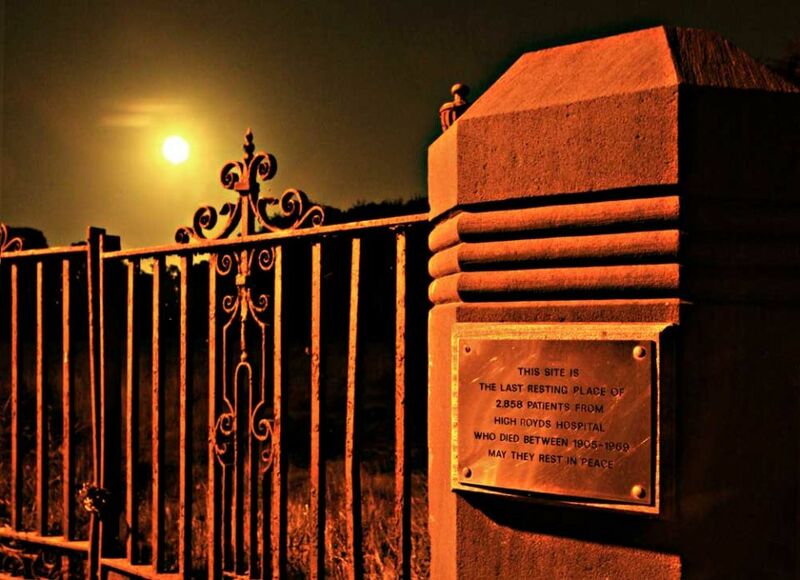 The dedication was carried out approx 13 years after the hospital opened. 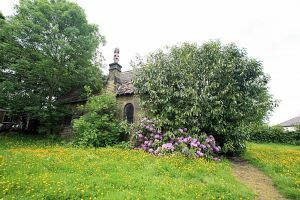 Sylvia Robertshaw, Member of the, Friends Of High Royds Memorial Garden. 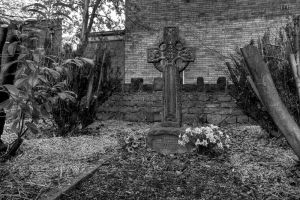 Many thanks to Dr Angela Beese for sending us this wonderful poem she was inspired to write, after visiting the burial ground. 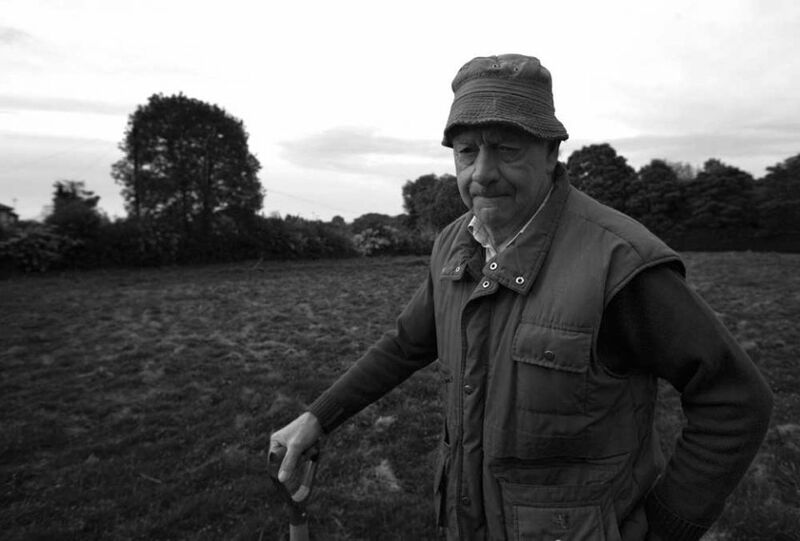 Of those beneath this ordinary field. 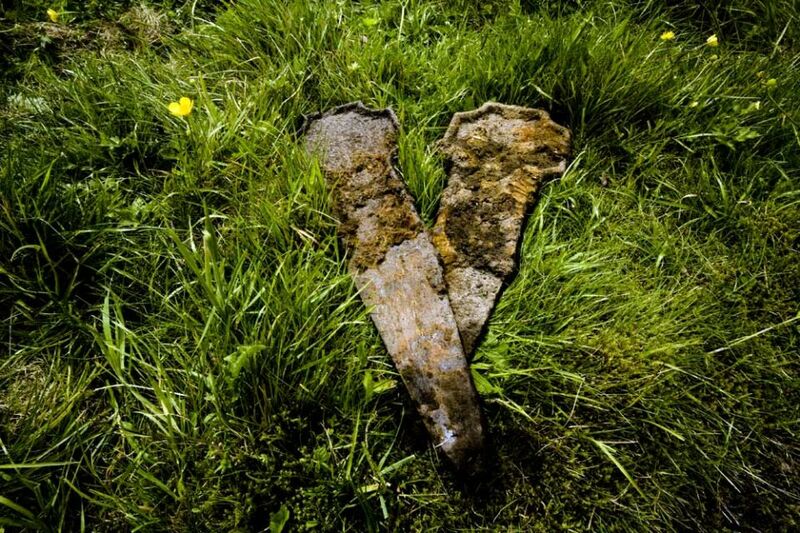 Efficiently, with care, but not with love. 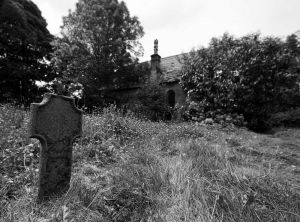 Their home that no-one else would call a home. 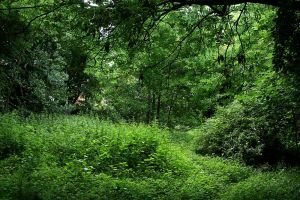 And earth fills up the holes that once held eyes. 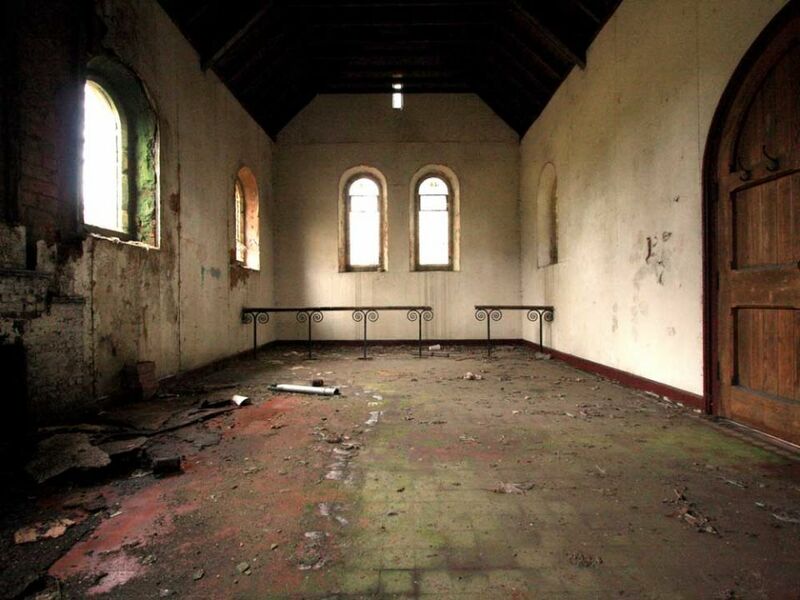 A blank, where life once scrawled its barbed-wire lies.